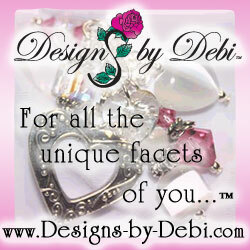 If you would like to link to Designs by Debi, you can use one of the banners below. Do not link directly to the banners. Save them to your computer. But please do not alter them. They're all JPEG images. Artisan Lampwork Glass Beads page also because I do something special for my glass artists...you can have your own page on my site!